When Imam Ali (a.s.) became the caliph of the Muslim Ummah, he transferred the capital from Madinah to Kufa, and Habib also moved to Kufa. The first person who invited Imam Husayn (a.s.) to Kufa was Habib. As the Kufans were expecting Imam Husayn (a.s.) to come to Kufa, it is reported that Ubaidullah ibn Ziad entered Kufa after completely covering his entire body and deceived the people. But once inside the city, he showed his true identity. He mercilessly killed Hazrat Muslim ibn Aqeel (a.s.) and started the reign of terror, sealed-off the city of Kufa so that nobody could enter or leave the city without Ubaidullah bin Ziad’s permission. Even Imam Husayn (a.s.)’s messenger, Qays bin Mushir, was killed by throwing him from the roof-top three times. Which Islamic law requires such brutal treatment to an innocent Muslim! Habib was heart-broken not knowing the whereabouts of Imam Husayn (a.s.). Imam Husayn (a.s.) was already in Karbala. He wrote a letter to his childhood friend, Habib explaining how Yazid’s vultures were gathering to kill him. 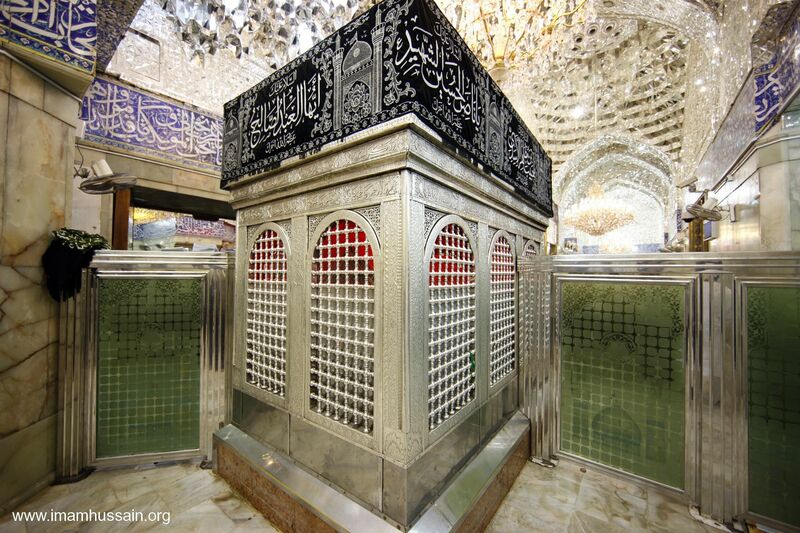 His messenger reached Kufa at night and entered the city by climbing its wall and delivered the message to Habib. Habib kissed the letter and tears started rolling on his cheeks. His wife inquired whose letter it was. Habib replied and said: “Who would have thought the people would be so thirsty for the blood of the grandson of the Noble Prophet (s.a.w.a.s.) whose name they utter in every Azaan and in every Salaat.” Habib’s wife said: “Habib, your childhood friend has called. Your master needs your help. What are you waiting for? Go Habib, before it is too late.” Habib’s slave also wanted to sacrifice his life for the King of Martyrs, Imam Husayn (a.s.). They both secretly left for Karbala. On the morning of Ashura, the 10th of Muharram, Imam Husayn (a.s.)’s son Hazrat Ali Akbar gave Azaan for the last time. Yazid’s soldiers blew the trumpet to start the battle. One by one Imam Husayn (a.s.)’s companions went to the battle field and gave their lives for Islam. Habib persisted with his request. Eventually, Imam Husayn (a.s.) gave his permission. Imam Husayn (a.s.) mounted his friend, Habib, on the horse. 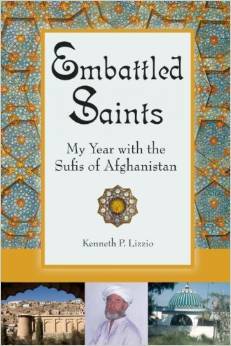 Habib ibn Mazahir rode into the battlefield. He fought bravely but was finally over-powered. He fell to the ground. Later, Habib’s head was cut-off along with other martyrs, but his head was not raised on the spears but was tied to a horse and pulled along the land of Karbala. Arab Me Dastoor Tha Jub Kisi Ko Khaat (letter) Likhtay thay Or Agar baap ka naam sath Ho Tou Matlub Khushi ki Khabar hai Or Agar Maa Ka Naam Sath ho tou achi khabar nahe , 8 Moharram Imam Hussain (A.S) Ne Apne Kasid k hath khaat bhayja Koofay Apne Bachpan k dost Habib Ibne Mazahir Ko , Qasid Letter lay kr koofa pohncha , Habib Apne Gher Mein Khana Khaa Rahy thay Pehla Nawala Layne he lagay k daak-ul-baab (door knocking) Howa , Habib ne poocha kon ha ? Awaaz ai mein Hussain (a.s) ka Qasid houn , Habib ne nawala neechay Rakha or darwazay ki tarf doorhay Darwaza khoola or qasid ka maatha chooma , Hath choomay Or Khaat (letter) Lia , Habib ne jaldi se letter lia or Khola , Khaat kholtay he Roonay lagay Habib ki biwi ne poocha kya howa ? Kehte han Naam Hussan Ibn Fatima (a.s) Likha hai, khair ho !!! Imam Ka Khaat parha Imam Hussain (a.s) ne likha tha habib agar ana chahtay ho tou karbala ajao Mein Apne bhen or baytion k sath ho k Ashoor k baad tum kabhi ziayarat na kr pao gay !!! Habibi roonay lagay , Apni biwi ki tarf deka or Socha iskay dil me kya hai jaan’loun , Kehte han apni biwi ko Hussain (a.s) ne bolaya hai Biwi ne kaha ap jao , Habib kehte han agar me gya tou tum baywah ho jaogi or mere bachay yateem ho jayegi biwi ne kaha waaye ho ap par Zahra (s.a) Ka Laal madad k liyeh bulara han or ap bahane dhoond rahy ho ? 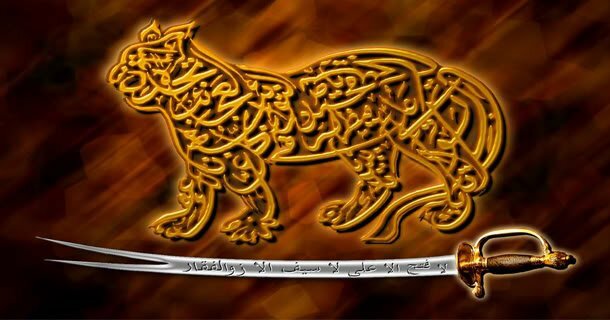 Habib Ibne Mazahir Ne Kaha me sirf tumhara imtehaan lay raha tha , Habib Ibne Mazahir Apne gher se niklay, Karabala me imam hussain a.s ne door se atay dekha , Sub ko Habib Ibne Mazahir k istakbal k liyeh bulaya… Habib Ibne Mazahir aye imam hussain ka hath choomay ankhein choomi , naraye takbeer ALLAH HU AKBAR ki sadaein buland huein , Khayemay (tent) mein bibi Zainab (s.a) ne Takbeer ki awaaaz buland hoti suni kehne lagein yeh shor kesa Fizza ? Kya jung shuru ho gai , bibi Fizza Ne Syeda Zainab ko btya k Imam Hussain (a.s) k Bachpan k dost Habib Ibne Mazahir aye han , Bibi Zainab (a.s) ne kaha Habib Ibne Mazahir tak mera Salam pohnchao , Habib Ibne Mazahir ko btaya gya k bibi Zainab (s.a) ne salam Pohnchaya hai ap par , Habib Ibne Mazahir ne apne sir se imama utara or apne baal khoool kr ronay lagay or kaha YEH KESE WAQT AGYA ALE MOHAMMAD PAR , Ap Aqa Zadiyan ghulamo ko Salam Dein gee…..